Three years ago, designer and furniture maker Hugh Miller set out on a journey prompted by a desire to learn more about traditional Japanese woodworking techniques. However, what he gained from his travels to Japan proved to be much more than a practical knowledge of construction methods. He came to appreciate how Japanese tools and traditions were part of a whole philosophy of making. From the experience, Hugh absorbed three principles that now underpin his work: an absence of noise; a search for lightness; and a contribution to harmony. These were the basis for his first collection, The Coffee Ceremony, a homage to the Japanese tea ceremony. This exquisite collection of furniture and utensils has been exhibited widely, including shows at the Saatchi Gallery in London and in South Korea at the Cheongju International Craft Biennale. 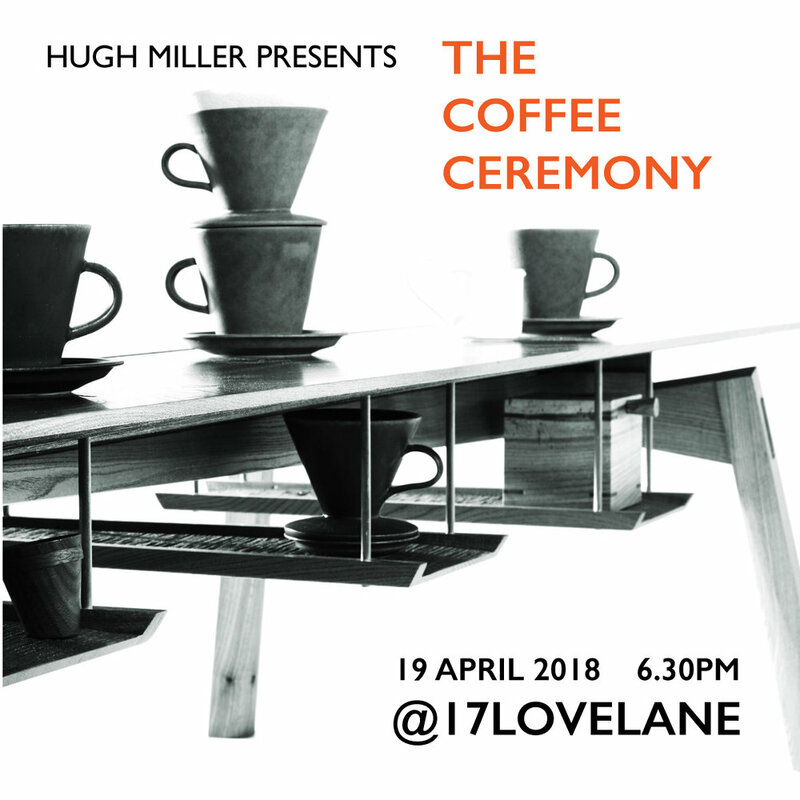 You are invited to join Hugh in a unique event taking place in Liverpool – part lecture, part performance, part discussion – conceived in collaboration with 17 Love Lane and the Bluecoat Display Centre. This event will go beyond the usual gallery conventions to present the Coffee Ceremony collection in a dynamic way. It will be an unmissable opportunity to engage with, handle, and experience these beautiful objects in precisely the way the maker intended – in use.